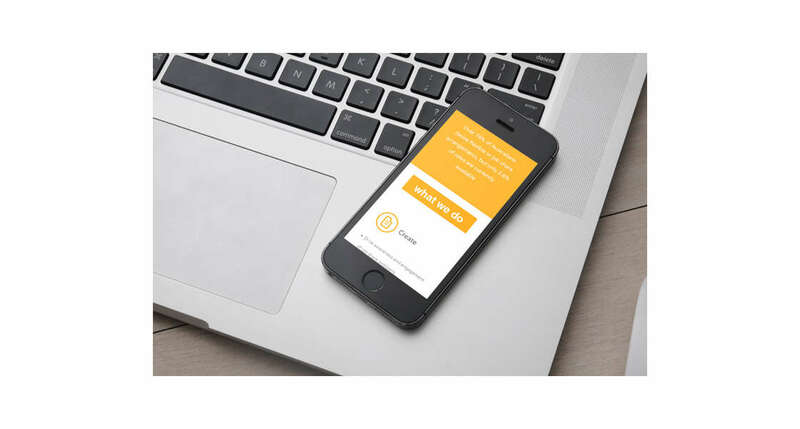 Gemini 3 required a new micro-site to capture leads and increase call to action. 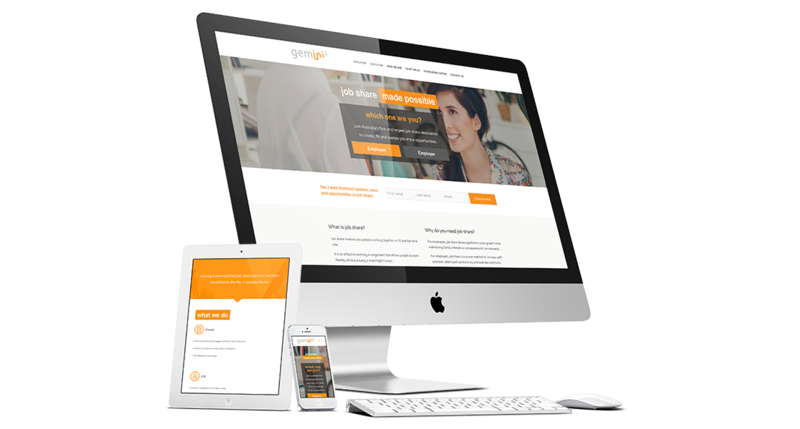 WordPress was used due to it's simplicity and ease of use in small scale websites. 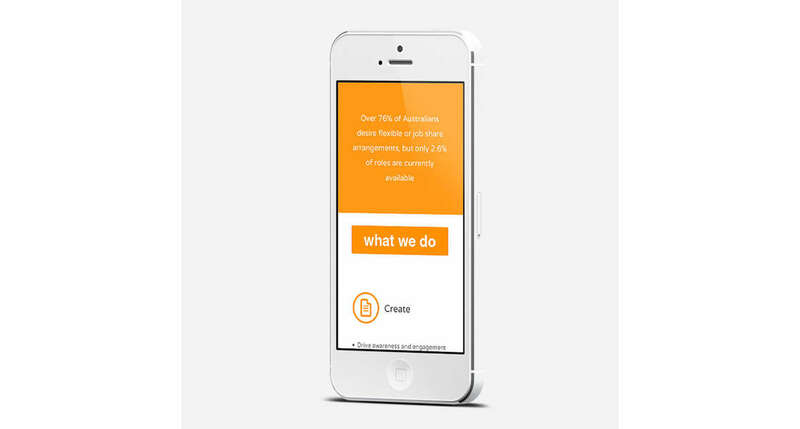 Job share involves two people working together to fill one full time role. It is an effective working arrangement that allows people to work flexibly while pursuing a meaningful career. 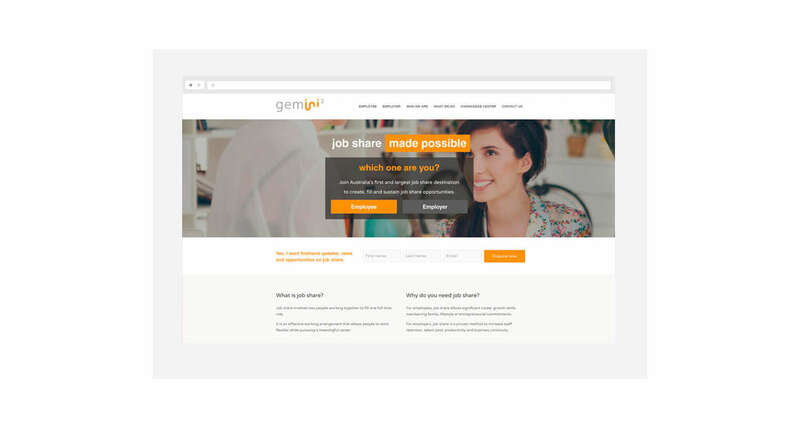 Gemini3 drive awareness and engagement of job share positions. 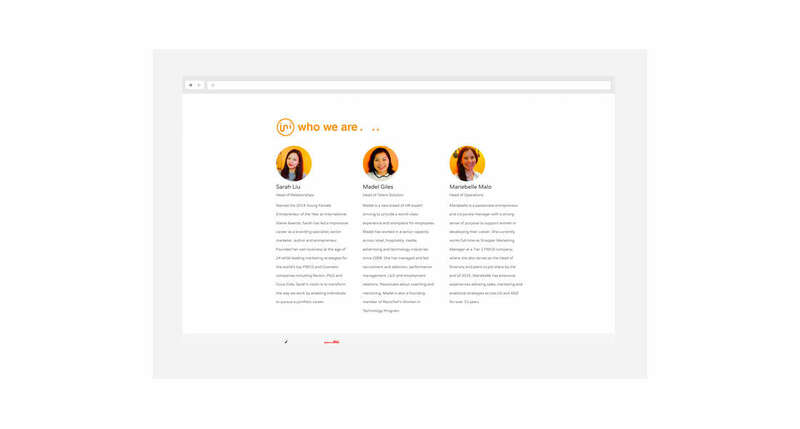 Using a patented matching algorithm Gemini3 find suitable job sharing partners. 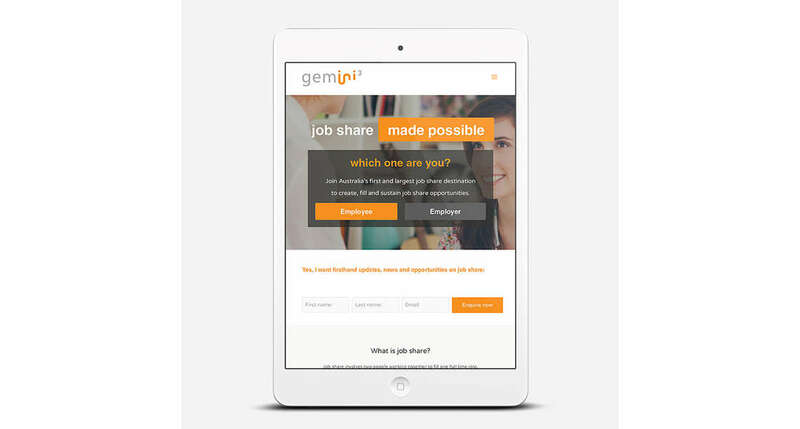 Using existing Gemini3 branding elements, Neubreed designed and developed a user-focused website design with emphasis on clear navigation elements and allowed employees and employers to easily register their interest and stay up to date with updates, news and opportunities on job share.